Welcome to the Frequently Asked Questions section of our website where we answer questions we get asked often. If you do not see the answer to your question here, consider sending us your question using the form on this page. Call, E-mail or Text us. See Contact Section. Q: How far is the MARINA from your homes? Q: Where is the BOAT RAMP? Yes, but only by exception and approved by the owners as we want to keep the homes very nice. We charge $95 extra per pet for your stay. Q: How do you RESERVE one of the two houses? Q: Do you accept CREDIT CARDS or Check? Q: Do you have a GARAGE for my boat or car? No. Although we do two have garages, we have our personal belongings in them and they are not big enough for boats. The neighborhood and marina is safe. No need for garages. Q: How far from REDDING are the two houses? Q: Do you rent all YEAR AROUND? Q: Do you allow SMOKING in the house? Q: What do you furnish and PROVIDE? We try to take care of everything except Food, your clothing and your personal items. Q: How much is required to RE$ERVE a place? Q: Do you require a RENTAL AGREEMENT? Yes a simple 2 page rental agreement that we will send you. This is to protect you and us and to avoid misunderstandings. Note: We have never had to use it as we have great guests. Q: Where can I find REVIEWS on your houses and you as hosts? There are over 75 FIVE STAR reviews on the “Reviews” page of this web site. You can also see them on VRBO, AirBnB, Google and Yelp. Yes. $500 for one home or $1000 if both homes are rented. Note: we have not had to keep one as we have wonderful guests. Q: Is this a great place for a LOUD PARTY? No. Sorry. You can have a great time…but not a loud party. Sound travels too far and the neighbors will not tolerate. 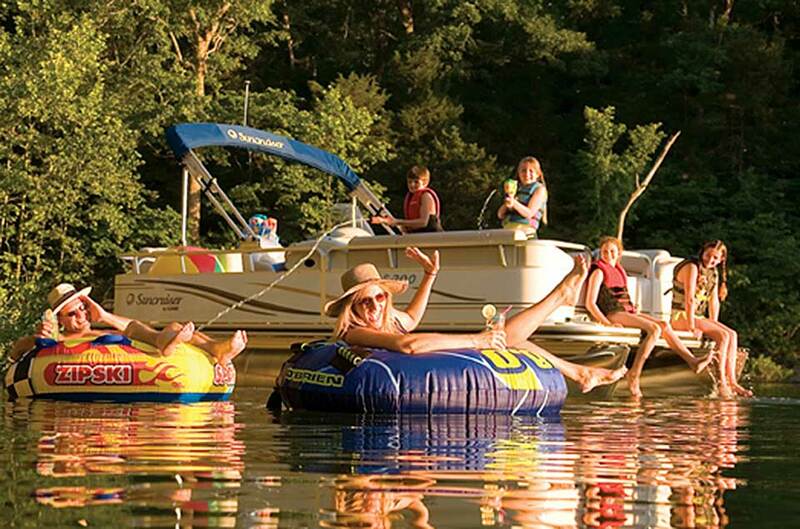 We recommend a houseboat for big loud parties. Q: How are your homes for WHEELCHAIRS? 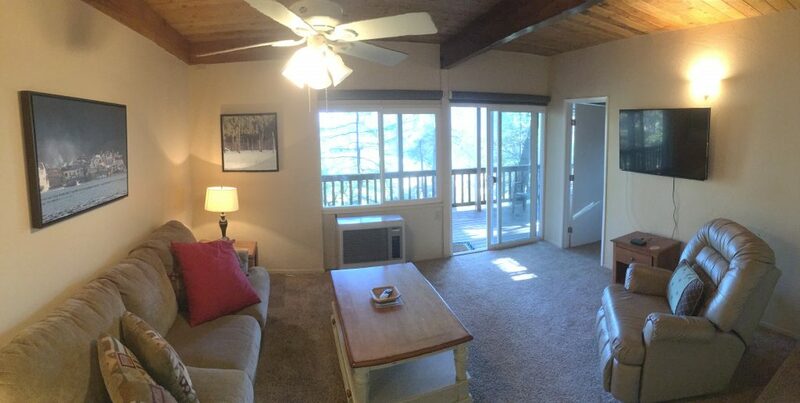 The main floor of Retreat 1 is easy to get to from a car. Unfortunately the bathroom doors and space in bathroom does not provide much room. Retreat 2 requires access via a slight slope. Best to discuss with us first. Q: What are the VIEWS of? 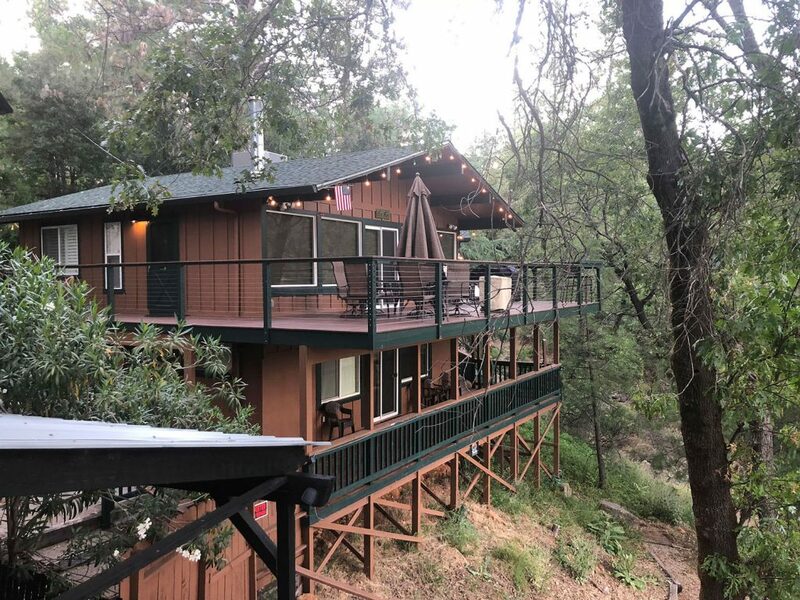 These two homes have the best views in all of Shasta. They look out at the lake, mountains and frequent wildlife. Trust me….you can’t beat this. See the “Reviews”. Q: Do you have a WASHER and DRYER? Q: How soon do you return the security deposit? We try to release within 24 hours. This is our intent. Q: Are there STORES nearby? Q: Is there SNOW on the ground in the winter? Rarely. Although we are up in the mountains and you will love it, if you want a cabin in the snow….we prefer you stay somewhere else as we do not want you to be disappointed. Q: Is there SNOW SKIING or tubing? Yes at Mt. Shasta about 45 minutes away. Q: Is the water right by the house? In a normal, non-drought year the lake will fill close to the top around memorial day. Since it is a water reservoir for California, it will dropped slowly until the rains start in the winter. The distance from the house to the water will very greatly for this reason. There is always a trail to the water. Q: Is there a white sand beach next to the house? Unfortunately not. Much of the shores of Shasta Lake are either rock or red dirt. Great clear warm water but without the sand. Q: What does the owners Dave and Lori do with the proceeds from rent payments? Q: Do you have a place to PARK a BOAT? Yes. 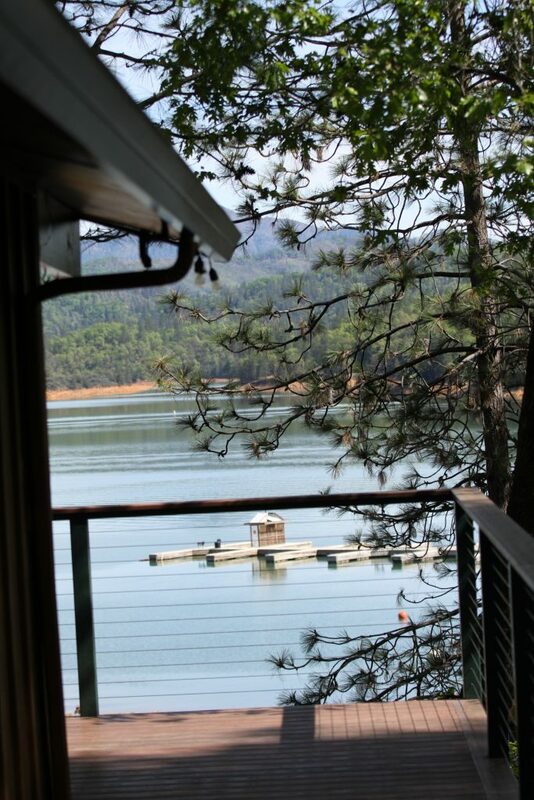 Although we have room, we highly recommend you book a slip at Sugarloaf Marina for your stay. $25 a day. This is what we do. Yes at both houses. Good strong units. You will not be warm inside. Yes. Not as fast as at home….but it works. Q: What if our party is larger than 14? Q: What if our party is larger than 24? Although we can’t support more than 24, you can add additional homes in the area. Although they are not lakefront like ours, they are nice homes and very close. Here are the VRBO pages for them. 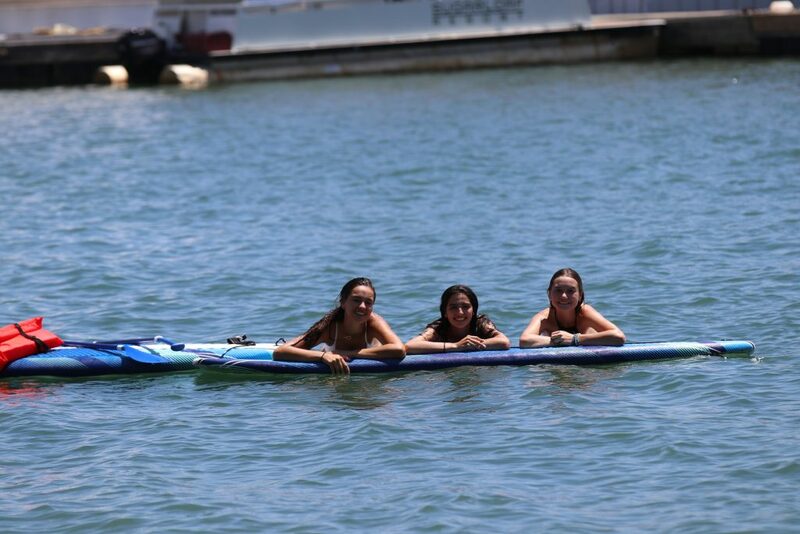 Q: Do you have any KAYAKS or PADDLE boards to rent or use? Yes, in May 2018 we started to make 2 Kayaks and 2 Paddle boards available complementary to our guests. They are shared between the two homes. 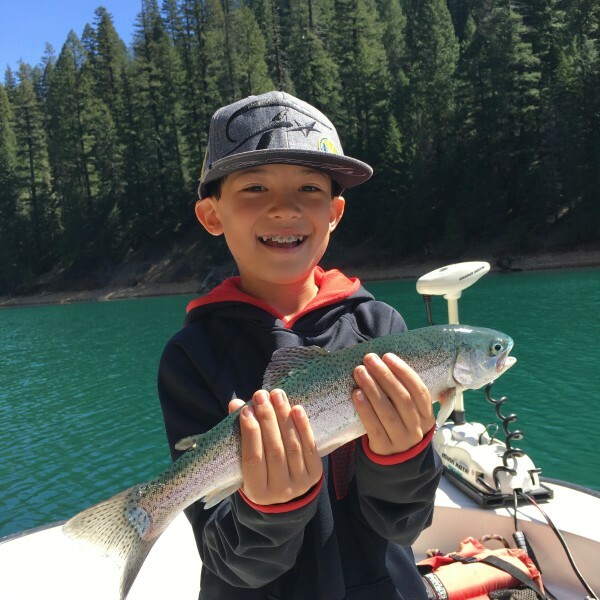 Q: Did the FIRES in the Shasta area impact the two homes? No, none of the Lakehead/Sugarloaf area was impacted. On the lake you will see some of the burn areas on the west side of the Sacramento arm and the farthest North part of the McCloud Arm. Less than 10% of the shoreline of Lake Shasta was impacted. 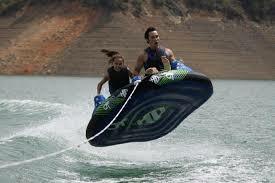 Q: Is the Sugarloaf Marina open all year? No, unfortunately being a smaller marina, they tend to open be open from about sometime in May to Labor Day. A larger marina is 3 miles from our homes which is Antlers. Please note as the water level drops, Antlers moves their marina many times down to Sugarloaf. Call them for additional information. See our “Marinas” page for more information. Q: Do you have floor plans for the two houses? 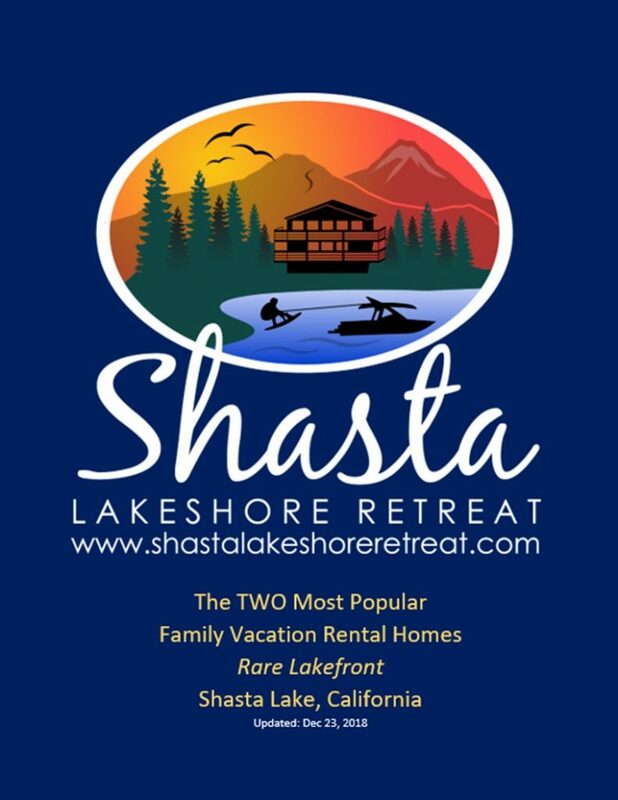 Yes, go to “retreat homes” and then to either “Retreat 1” or “Retreat 2” on our web site. They are also in the brochure on this page which you can download. 75 FIVE STAR ReviewsWhat's Available?How much $?